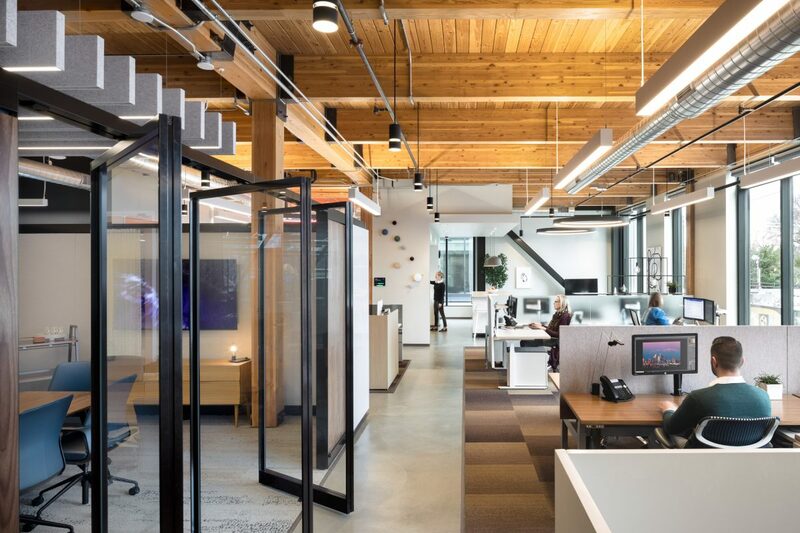 A multifaceted, timber-clad, office and showroom. 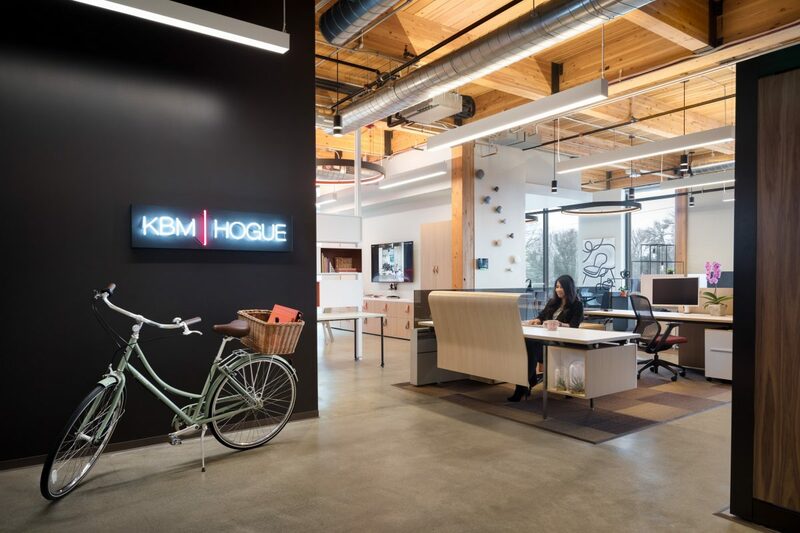 KBM | Hogue is a Northern California based furniture dealer that represents Knoll, a premier workplace brand. 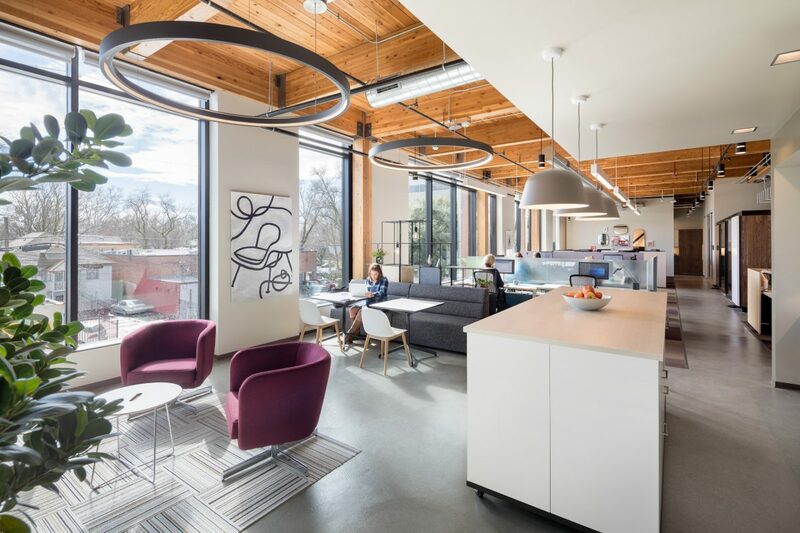 KBM | Hogue relocated from its S. street location to the award winning timber mid-rise building, ICE Block 1 in Sacramento’s urban center. 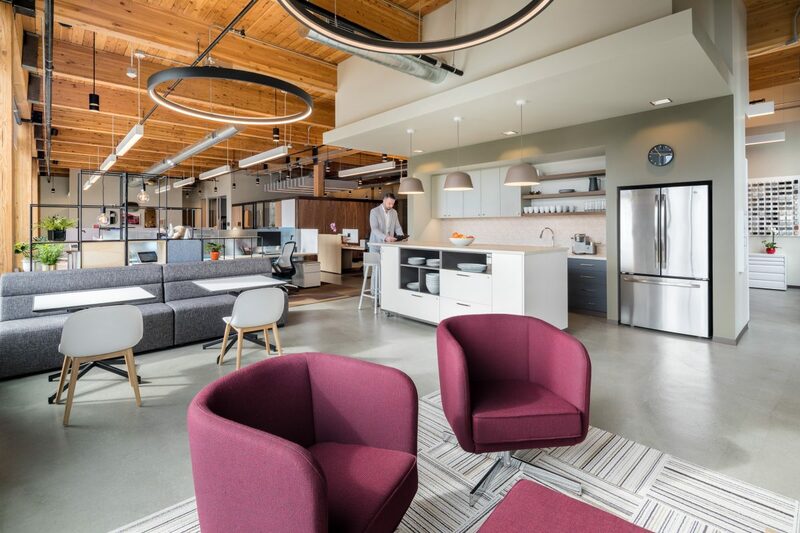 RMW was tasked with designing a functional workplace that not only supported staff collaboration and client services but also served as a flexible showroom for Knoll office furniture and accessories. 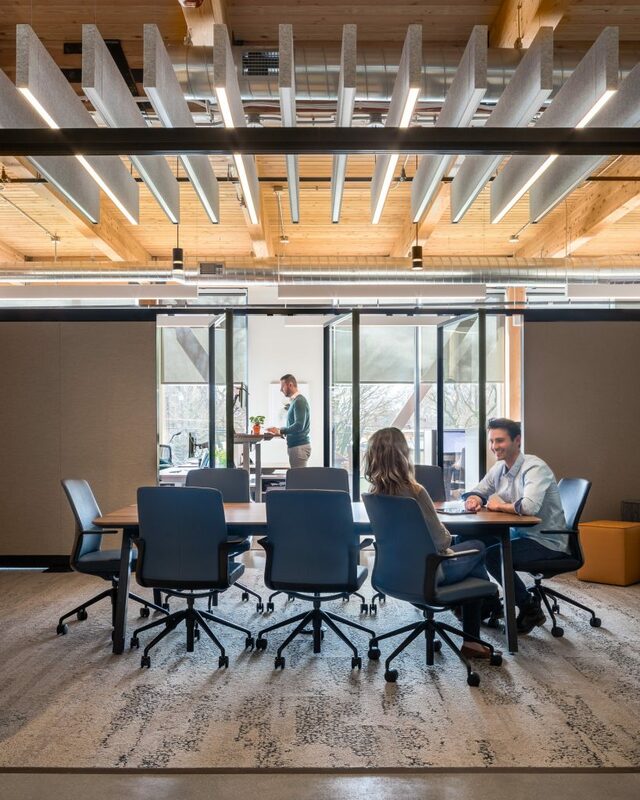 The 3,600 SF light filled showroom/workplace is open with a conference room and private meeting space at its core. A work cafe and wellness/mother’s room anchor each end of the suite to promote natural circulation to the library and free address work stations. 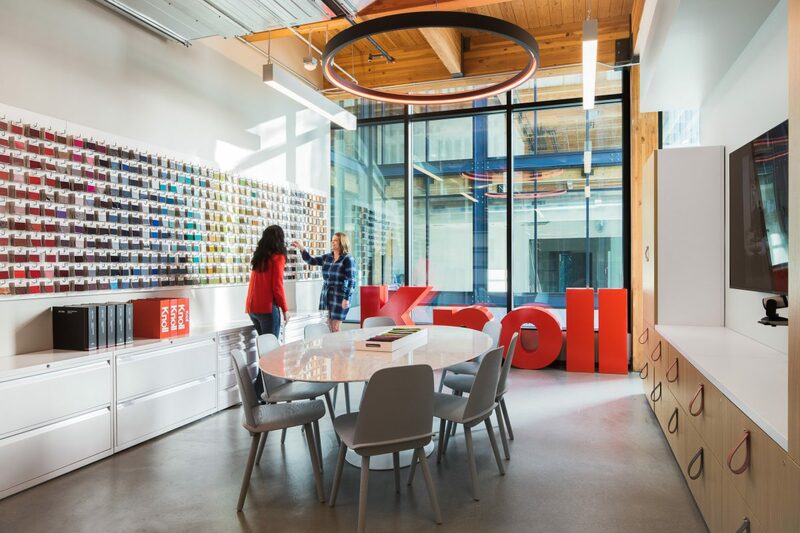 The design harmonizes the building’s wood elements to not only enhance the beauty of Knoll’s iconic brand but to deliver the biophilic and wellness benefits to the office inhabitants.